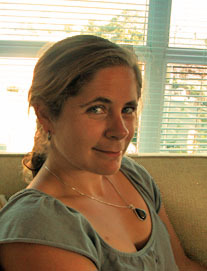 Ashley Oakes is a Development Officer at Arts Umbrella, a non-profit art school for children ages 2-19. Prior to Arts Umbrella, Ashley was the Manager, Sponsorship, Fundraising and Development for the Calgary Folk Music Festival and consulted on sponsorship with the Vancouver Folk Music Festival. Ashley has a passion for the non-profit community and philanthropy, especially in the arts sector. Her expertise is in major gifts, sponsorship and capital campaigns particularly stewarding gifts from corporations, foundations and government. Ashley is a Board Member with the Tomorrow Collective Arts Society, producers of Brief Encounters, a co-Chair with the Association of Fundraising Professionals Scholarship and Mentorship Committee, and actively involved with the Aplastic Anemia and Myelodysplasia Association of Canada. She lives in downtown Vancouver with her husband Scott, and 2-year-old son Cohen. Kathleen Speakman has invested her career in advancing public and Not-for-Profit organization stability and balance. 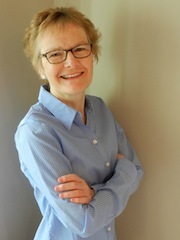 She was a senior manager with arts organizations and granting agencies in Vancouver, Victoria, Ottawa and Toronto, before shifting her focus to building system-wide Not-for-Profit sustainability, first as Executive Director of the Vancouver Arts Stabilization Team, then as Executive Director of BC Technology Social Venture Partners, and then as Executive Director of the Centre for Not for Profit Sustainability. Since launching her consultancy in 2010 she has provided services to public, foundation and private funders, individual Not-for-Profit organizations, networks of Not-for-Profit organizations and individual managers and board members of Not-for-Profit organizations. She also teaches Financial Management for Community Organizations at the Justice Institute of BC and Financial Accountability for Vantage Point’s Leaders’ and Executive Labs. She is very comfortable working across the public, Not-for-Profit and private domains. She understands how people in all sectors think and what they value; she is dedicated to assisting all sides to work together more effectively.